When the cold weather of winter hits, the last thing people think about is their garage. While proper garage door maintenance can save you loads of cash during the winter months. Below are some of the most common garage door problems experienced during the winter months. That spongy strip on the bottom of your garage is incredibly important. It keeps the elements out of your garage to protect the electronic portion of your garage door opener. It also cushions your heavy door from the concrete and prevents moisture from rusting the bottom of your door. When you start to see a breakdown of that strip, it is crucial that you replace it right away to prevent damage to your garage door. During cold weather, it is common that the sliders or springs can constrict and cause your door to not open or close properly. This may be caused by improper garage insulation or damaged weather stripping. Either of those can cause your garage to become too cold and it affect your garage door. If it is humid and cold in your garage, it may begin to affect your garage door. Moisture can get into the cracks of an older garage door opener and if it freezes, ice crystals can damage the inner workings of the opener. If you see an cracks in your garage door opener, seal them or call a garage door technician. Make sure to keep your garage at a slightly warmer temperature than the outside so you can keep your garage door opener in tip-top shape. If you are having any issues with your garage door this winter, give us a call at (877) 392-2590 or contact us online. 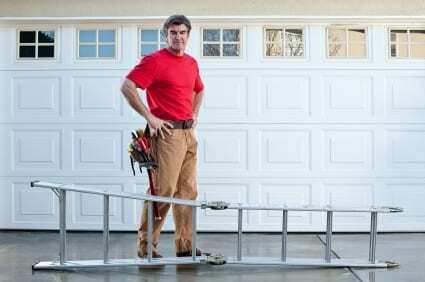 Our garage door repair professionals will be able to help.